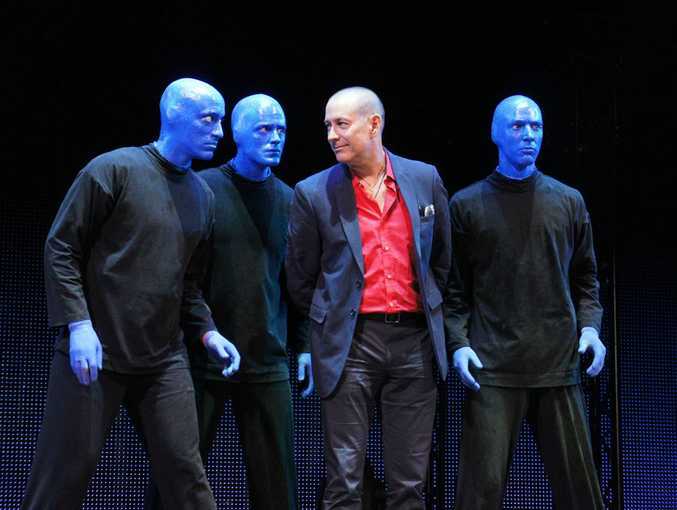 THE BLUE Man Group doesn't need to announce its arrival in Australia. Its silent, blue-paint clad performers let the show and its unique style of theatrics do the talking for them. The acclaimed US show is touring Australia, and the Southern Hemisphere, for the first time in its 25-year-history. Officially opening at The Star's Lyric Theatre tonight in Sydney, the innovative live show features three performers who play multiple and sometimes specially created instruments - like the "drumbone" - and communicating only through their body movement. It's not mime, but more a multimedia experience combining performance art, music and comedy. 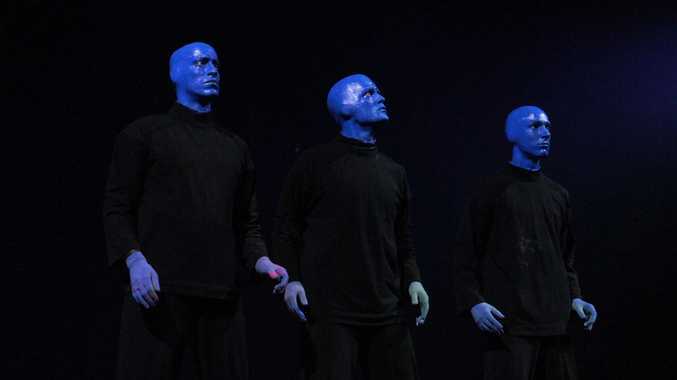 The Blue Man Group was born out of New York City's avant-garde performance arts scene in the late 1980s. "We wanted to say things through form rather than content as much as possible," said founding member Phil Stanton. "In a way you don't have to talk about it much. You don't have to talk about collaboration when you're collaborating on stage. "We've got the instrument the drumbone. It's a weird instrument because it only plays seven notes but it takes three people to play it. That in and of itself is a statement about collaboration and working together." That approach continues to work just as well across borders and language barriers, even if technology has come a long way since the Blue Man Group's show Tubes opened at New York's Astor Place Theatre in 1991. Australia is the first stop outside of the US for the full touring production of the show, which has permanent homes in US cities including New York, Las Vegas, Boston, Orlando and Chicago. A Queensland season is expected to be announced in the coming months.